OK, so I got bored after dinner and decided to plunge on tonight regardless. 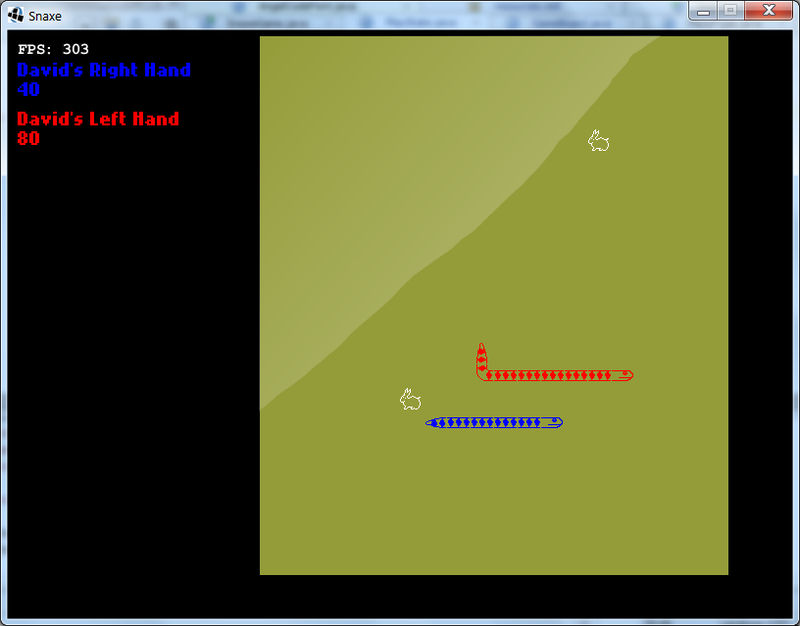 Mostly graphical changes this hour: now using the Nokia font; made the images larger and redrew them; gave the snakes a different head depending on which way they're facing; added screen glare (to be redrawn later); ensure a certain number of rabbits are available "most" of the time (depending on number of players); and a few minor technical changes. Next update (tomorrow) will be at hour 5 or 6 so that I'll have more to report.